Paper Webkey Trifold Brochure. Full color printing. Delivered. 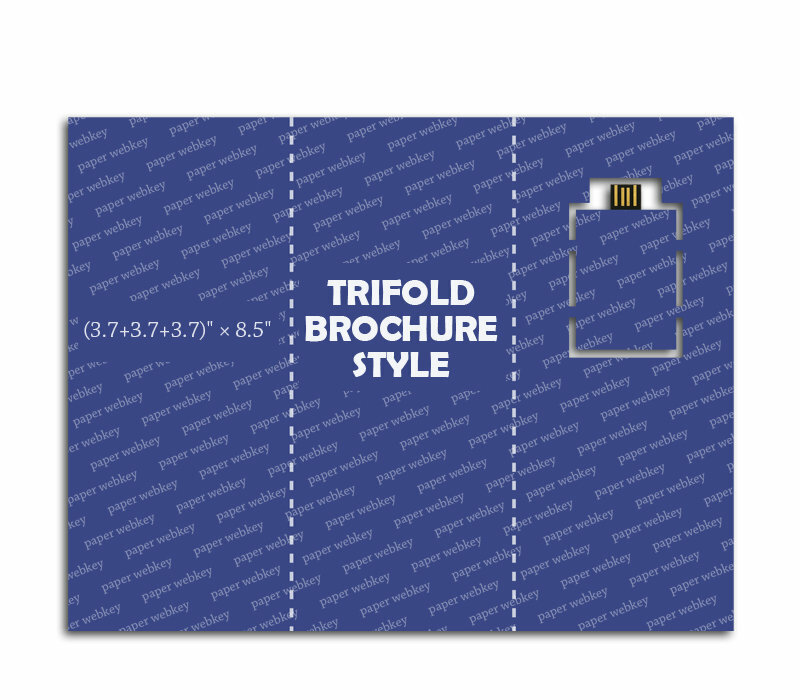 Trifold Brochure (3.7+3.7+3.7)" x 8.5"
If you are looking to drive traffic to your website, the webkey is the best choice! Webkeys contain a customer designated web URL. When a user plugs the webkey into a computer, a small program runs which opens a web browser window and launches the designated web page. Webkeys have no memory to store data and they are more inexpensive than USB drives. Another benefit of webkeys over USB flash drives, is webkeys only launch a webpage the information users see is always the latest information on customer's webpage. Imprint Size: (3.7+3.7+3.7)" x 8.5"
Item Dimension (inch): Unfolded Size: 11" x 8.5"